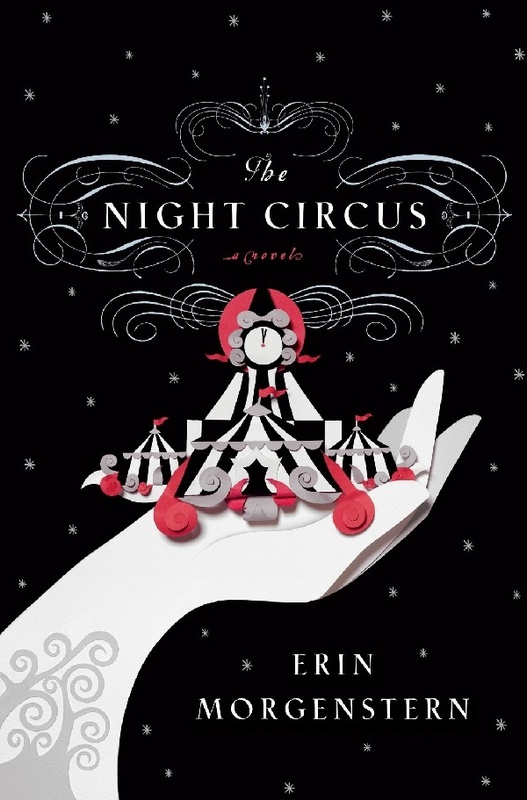 I’m sure many of you have at least heard of Erin Morgenstern’s beautiful novel, The Night Circus. But have you read it? Have you delved between its black and white covers into its black and white pages and rolled around in the beautiful world she’s created? Two magicians have pledged their apprentices to a magical duel. The fight is to the death, but the arena is something special. It is a circus. The Night Circus arrives without warning, sets up for a time, and then fades away just as quietly. Everything in the Circus is black and white. The clothes, the tents, even the animals. Some of the acts are normal. There are aerialists and living statues. There are fortune tellers and clowns. But there are also magical tents, tents that Celia and Marco have created as part of their competition. There is the tent that is full of people’s dreams. There is a clock like no clock ever seen before, although it isn’t made by one of the magicians. There is magic and wonder and unexpected love. But remember, this is a duel to the death. There is a darkness stalking the edges of the Circus and the unwary visitor might stumble and be lost. I first listened to the book on audio and then had to go back and buy a hardcover because it was a beautiful object as well as a beautiful story. The end papers and chapter headings were tiny little treats inside the book. I found this book so stimulating that I created an entire Pinterest board inspired by the book. I have several costumes I want to make once I figure out how. I don’t know that I’ve ever had so many images stay with me from a book. Maybe Biting the Sun by Tanith Lee. But even with that book it’s only one or two. The Night Circus is full of beauty. I would love for Erin to write travel books because her descriptions are so amazing that I’m sure everywhere she went would sound like a fairyland. If you’ve already read The Night Circus won’t you tell me your favorite image? Mine is the chameleon dress Celia wears to the party. Someday, I will figure out how to make something like that. Or, rather someone much better at technology will help me make something like that. ← Do You Wanna Build a Book Fort?